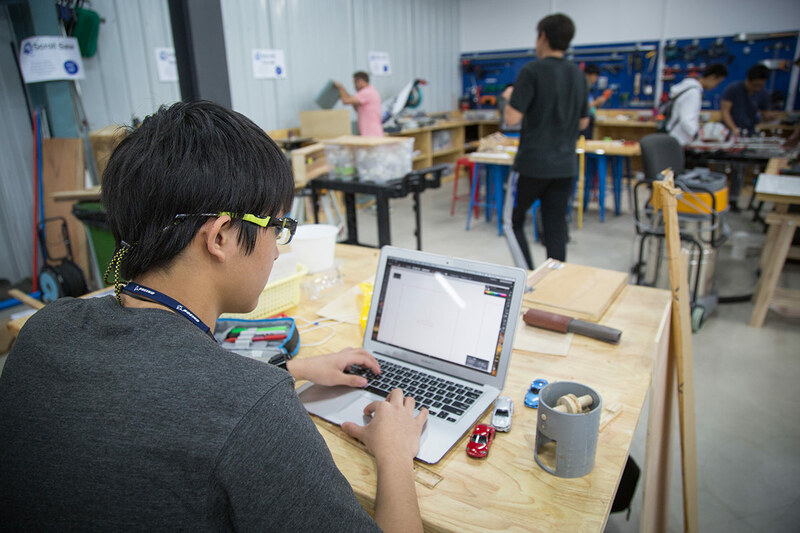 Middle and High School students at the International School of Beijing (ISB) have been publishing their own digital learning portfolios, as blogs, for some time now. Until recently, their use has been somewhat minimal, but there has been renewed interest in 2018, and we are beginning to see a range of subjects making use of the blogs including Music, Chinese, Science, and Humanities. Almost all Middle School students are now blogging, with every grade 6 and 8 student having posted at least once this year. The student's blog is a collection of artifacts curated by the individual to document and process their learning. This allows for the aggregation of a range of material evidence including links, video clips, images, podcasts, and written responses. Over time, an effective blog will document a student's growth, which is proven to enhance ownership of – and motivation for – learning. The SAMR ladder is a tool designed to help teachers think about classroom technology. S – Substitution, A – Augmentation, M – Modification, and R – Redefinition. When technology is used to modify or redefine a task (where the tech allows for the creation of new tasks, previously inconceivable), the learning experience becomes transformative and is subsequently enhanced. Working with the blogs is an effective way for teachers and students to make use of the technology that is available and move learning tasks further up the SAMR model by redefining the way learning occurs. Student engagement in rigorous and stimulating learning programs that meet their individual needs, develop their skills as digital citizens and prepare them for success in 21st century learning. Student/teacher collaboration, and the building and sharing of knowledge using digital technologies. This includes engineering effective classroom discussions, activities and learning tasks that elicit evidence of learning. The innovative use of ICT by students and teachers to achieve learning outcomes and provide opportunities for effective feedback. This is achieved by activating learners as instructional resources for one another and encourages them to take ownership of their learning. In Science, grade 6 students have recently published their design process including sketches, final prototype and reflection, for the development of a desalination system. Grade 7 Futures Academy have begun their "I am a..." journey through which they consider their potential as a researcher, a thinker, a collaborator, a self-manager, and a communicator and plan for the development of these skills over the course of the year – students will use their blogs to document their journey. ISB music students have used their blogs to share and receive feedback on audio files of their work. Chinese and Music are also taking advantage of the ability to share and seek feedback on audio files through this platform, while the high school Passion Project students are using their blogs on an ongoing basis to develop, plan, create, improve and seek feedback on their independent projects. Grade 8 Humanities have been using the student blogs for a number of years now, with the aim of developing a community of readers that share their learning and provide carefully considered and meaningful feedback to one another. In 2018, higher education institutions are rightly looking to prioritize more than just academic merit and thus the need for students to present and share collections of work that richly represent the student as a learner, while providing authentic digital evidence of learning, has heightened significantly. The student blogs are proving to support this need. 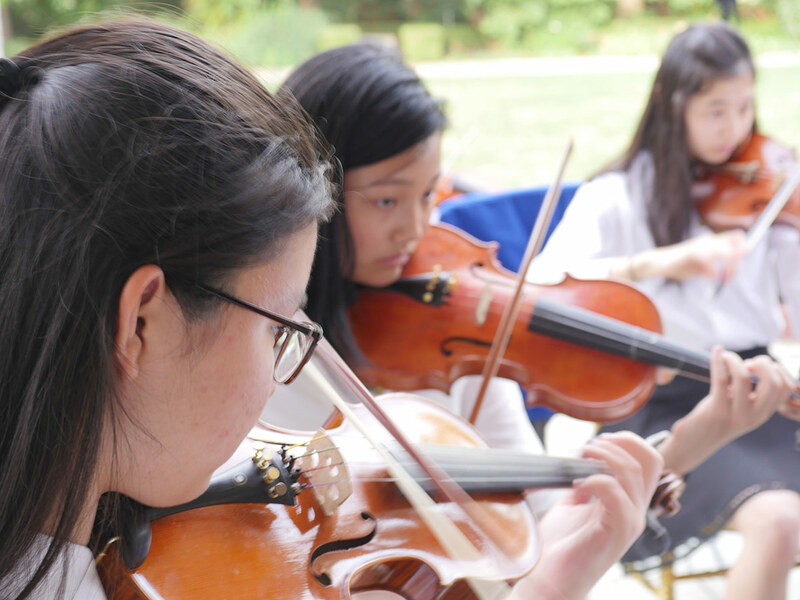 To learn more about our Middle School, click here.